Without natural hot tub products one of the major downsides to owning a hot tub is that you have to spend quite a bit of time keeping it maintained to ensure the water is always clean and comfortable and the hot tub functions correctly. Leave your hot tub unattended for a few weeks and you’ll find grime and other filth accruing on its surfaces. And until recently, the only way to keep a hot tub clean was to shock the water with toxic chemicals that dry out your skin and make the hot tub less enjoyable for both you and your guests. 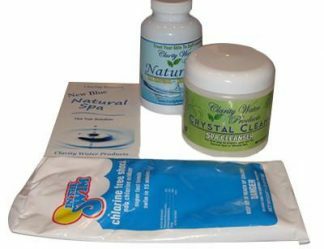 Clarity for Spas is the leading supplier of all natural hot tub products that clean your hot tub without the need for harsh treatments or negative side effects. 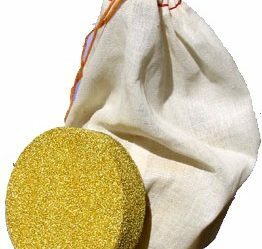 Our New Blue Natural Spa solution, for example, provides months of clean water without any of the common side effects associated with soaking in a hot tub (dry skin, red eyes, etc.) and doesn’t contain any toxic hot tub chemicals. 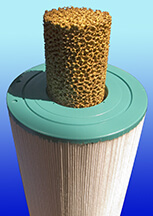 Your hot tub / spa stays clean and your skin stays happy. 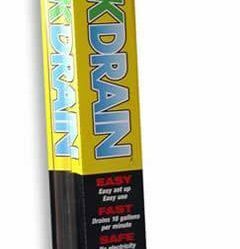 We also have an innovative citric acid based cleaner natural hot tub product that will allow you to effortlessly clean your hot tub. 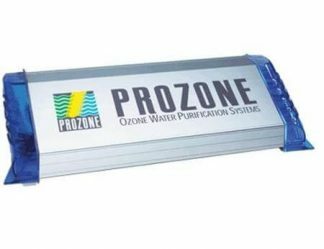 Composed of simple, natural substances, this cleaner removes corrosive chemicals and hard water deposits without any work from you. And the best part? 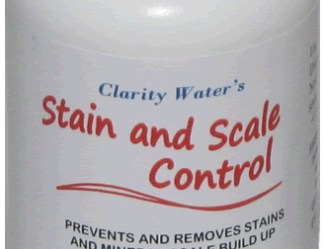 It has no negative effect on your skin or your hair, so you can clean your hot tub while you continue to enjoy it. 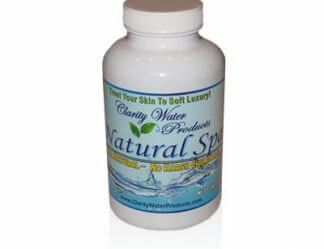 Clarity for Spas takes pride in delivering the highest quality natural hot tub chemicals on the market. 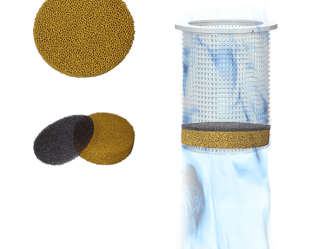 Our hot tub solutions are guaranteed to give you clean, healthy water for months without regular maintenance or scrubbing. 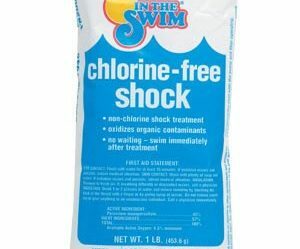 And they’re guaranteed to be free of the toxic chemicals so often associated with keeping hot tubs clean (like Chlorine and Bromine). 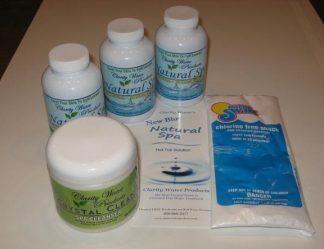 For more information about our natural hot tub chemicals and other water treatments please visit www.clarityforspas.com or contact us at (760)610-6205 and let Cal know that Carl sent you. 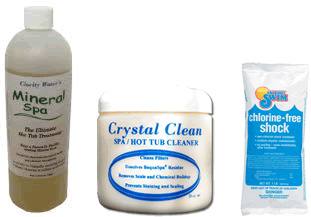 Check out our Natural Hot Tub Water Treatment Products here.